The production area of wines which are awarded the “Reno” DOC label in the Province of Bologna includes the territories of: Anzola dell'Emilia, Argelato, Bazzano, Bentivoglio, Budrio, Calderara di Reno, Casalecchio di Reno, Castel Maggiore, Castello d'Argile, Castenaso, Crevalcore, Granarolo dell'Emilia, Pieve di Cento, Ozzano dell'Emilia, Sala Bolognese, San Giorgio di Piano, San Giorgio di Piano, San Giovanni in Persiceto, San Lazzaro di Savena, San Pietro in Casale, Sant'Agata Bolognese, Zola Predosa, Bologna, Dozza, Castelguelfo, Castel San Pietro Terme, Crespellano, Imola and Medicina. 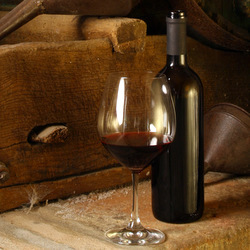 The most typical product is Montuni, a pale yellow wine, with a delicate, pleasant and lasting aroma. The flavour is fresh, dry and pleasantly bitterish. The Cantina of Argelato has become synonymous with the high value of Emilian winemaking culture and a point of reference for all lovers of the wines and flavours of the rural tradition of the Bolognese plains. The Cantina of Argelato, which was established in 1972 with the intention of safeguarding local ancient winemaking tradition, is aimed at recovering and promoting Reno DOC wines, such as Montuni, Pignoletto, Rosso dei Bentivoglio (a strong-flavoured wine taking its name from its native land, which once belonged to the Renaissance Lords of Bologna), and the well-known, sparkling Lambrusco. Pleasant wines in harmony with the character of their producers and drinkers, to which can be added the excellent “Argelato Brut” spumante, with its delicate perlage and harmonious, smooth flavour.